He was rendered in porcelain bisque, advice no bigger than the end of my thumb many, advice many decades ago. This angelic countenance stands ready to receive whatever whim, benediction or mad wish a child of 18XX might bestow upon him. If he had a body, it’s gone now. No matter. 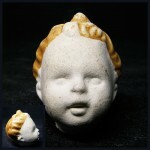 Capped with glazed curls, his smile is blank and open enough to absorb a million dreams. Split shot. Y’know, case for fishing. From Ideal. No, order this is not an advertisement. 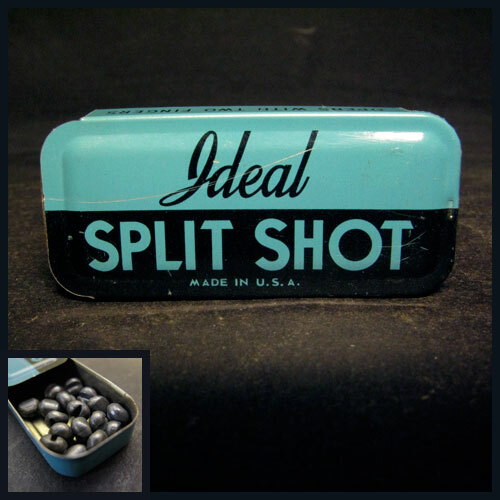 Just a sweet little slide tin of carefully formed lead pellets that clamp onto your line.